Coconut beers. The possibilities and flavor combinations are endless, despite many coconuts getting added to porters or stouts exclusively. Whether dessert beer or desert island beer, the only limit to coconut is the brewer’s imagination and the amount of coconut available. A brewer can maneuver coconut in many ways to explore various flavor profiles for his or her beer. While some use coconut to complement the dark flavors in a roasty and chocolatey porter or stout, other brewers and mazers are setting out to use coconut to illustrate the versatility in some of their recipes. If Gilligan was a brewer, then he would make more than a coconut phone when stranded on that island. The crew of the island would be tempted to cobble together some brewing equipment and a few carboys and make some coconut beer fermented with wild yeast. It could happen. Here are a few coconut beers to consider after a three-hour tour, whether shipwrecked on an island or simply enjoying the sunset. This behemoth of a beer clocks in at a staggering 15% ABV, and offers an intensely coconutty experience for those souls brave enough to traverse its dark depths. The beer itself was born from an insult a customer threw at the staff and it morphed into something greater from there. Perrin’s Director of Brewing Operations, John Stewart, remembers when the idea for the beer was born. “One of the crazy days at the brewery someone shouted ‘There are No Rules Here!’ and we decided to make an Imperial Vietnamese Porter called No Rules.” Making lemonade from lemons, Stewart and company “sat around and dreamed up what a Vietnamese Imperial porter would taste like and came up with the beer specs and worked our way backwards to build the recipe to create the beer we dreamed up.” After experimentation, the team decided on coconut for its “creaminess in creating a full mouthfeel,” and balance in handling a 15% ABV beer. 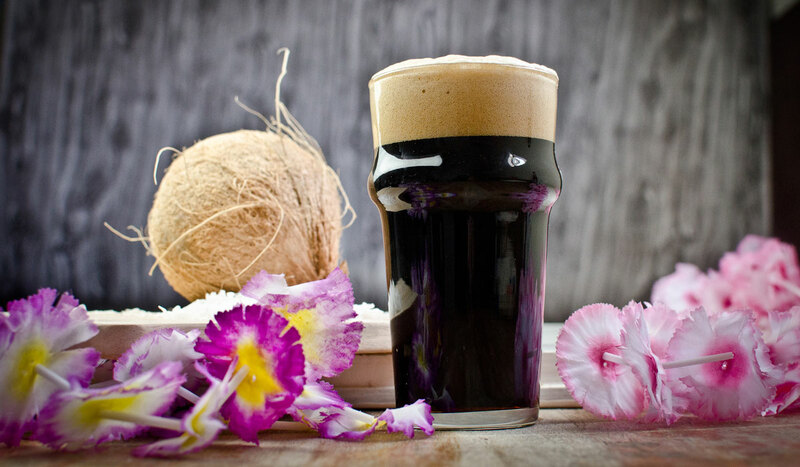 Drawing from its tropical roots on the islands of Hawaii, Maui Brewing Company has built a great deal of its reputation with its Coconut Hiwa Porter. The beer features hand-toasted coconut and is made 100 percent in the Aloha State. Proud to be made 100 percent in the westernmost state in the United States, the porter’s big brother, Imperial Coconut Porter, won a gold medal at the 2016 Great American Beer Festival in the Field Beer Category. For those who believe that coconut is only compatible with the roasted, chocolate flavors of stouts and porters, we encourage you to go on a vision quest. Or, in the case of this Coconut IPA, just visit VisionQuest, a small brewery addition to Boulder Fermentation Supply. There, owner Adam Kandle will serve you a unique beer experience that blends rich coconut with an absurd amount of hops. The current version claims lots of citra; other hops include galaxy, cascade, sorachi ace, mosaic. Kandle says they change the hops from batch to batch to keep it interesting (as if this beer wasn’t already). If you’re looking for something different or you’re on a quest to open your eye to what an IPA can be, head to VisionQuest for this IPA at 5.3% ABV. When Big Top Brewing’s team joined forces with the Flying Pig Tap House in Saint Petersburg, Florida, the meeting of the minds spawned a beer that would join the goodness of Hawaiian coffee with coconut. Add to that Big Top’s love of Sarasota, Florida’s history with the culture of circuses, and “the lion was a natural fit,” says Big Top Brewing CEO Mike Bishaha. “The coffee and the coconut allow for a more balanced beer,” Bishaha says. “The first pilot runs were heavy on the coffee and light on the coconut and we felt the coconut sweetened the beer and added more complexity.” The end result is a beer that balances the roastiness of a porter with its natural coffee notes and adds another layer to the parfait with coconut while not thinning out the body. When Anaheim, California’s Bottle Logic Brewing wanted to explore barrel aging with a beer that was not a stout, they decided on a strong ale base but the decision to add coconut did not come until later. Bottle Logic Founder and Brand Manager Brandon Buckner remembers that, “Our goal with this beer since it was a new prospect was to let the time in the barrel speak for itself. Once we started doing tasting trials, we picked up a lot of coconut notes from its time in the wood, so we thought it would be nice to enhance that.” The group decided that since the beer ended up with chocolate and vanilla tones, that coconut would be an obvious choice to compliment those flavors. While many coconut offerings are of the stout and porter variety, Placentia, California’s The Bruery went a different direction with coconut going into their Mash barrel-aged barleywine. Mash and Coconut “ratchets up the complex coconut character and complements the oaky and vanilla notes that are imparted to the beer as part of its extensive maturation in bourbon barrels.” In order to achieve this massive amount of coconut not to go quietly into the darkness of a barleywine with bourbon character, the Bruery had to invest in a massive amount of coconut – nearly a pound of coconut for every gallon of finished beer. That works out to each bottle containing about one-third of a coconut worth of ingredients! Lickinghole Creek Craft Brewery,“Virginia’s farm brewery,” takes coconut to another level by making this tropical ingredient the star of its quadruple. This quad, made with a Belgian candi sugar that has both beet sugar and date sugar at its heart, uses coconut as a complimentary flavor to the dark complexity, malty goodness, and esters present in the quad. This beer is the younger sibling to Coconut Delight, the winner of a silver medal in Field Beer category at the 2016 World Beer Cup, which is Coconut Quad aged in rum barrels. Mark DeNote is a wandering beer writer who keeps a home in Florida and an eye on the road in search of fresh, local beer. Mark is a teacher at heart, and enjoys talking about beer and beer history almost as much as tasting beer. 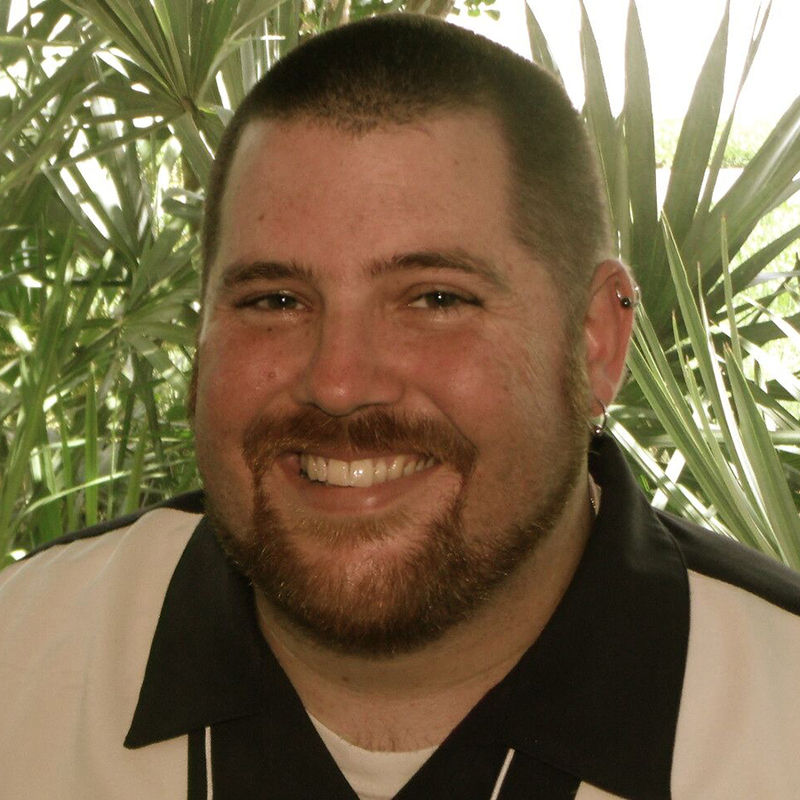 Mark is the author of The Great Florida Craft Beer Guide and Tampa Bay Beer: A Heady History. He also edits, reports, interviews and writes the story behind craft beer on the web at FloridaBeerNews.com.